- A place for women of advanced maternal age (currently classed at 40+) who are not geriatric or past it! A place for women of advanced maternal age (currently classed at 40+) who are not geriatric or past it! 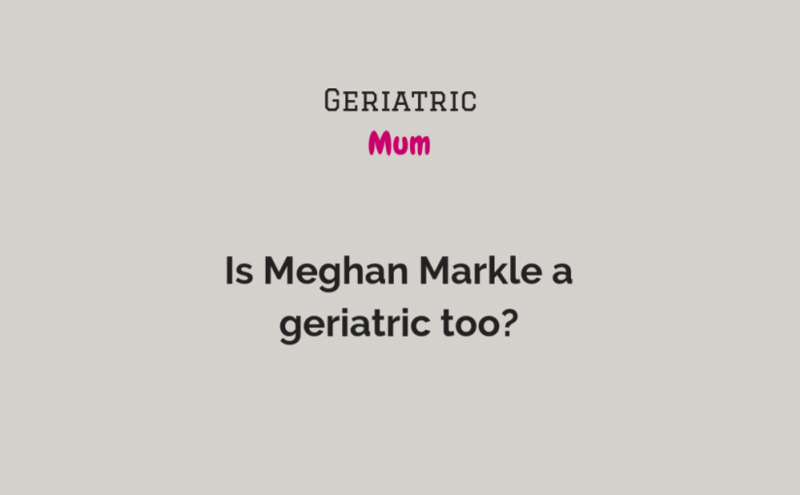 Is Meghan a geriatric too? At my last scan at 32-weeks, my consultant, whom I really respect and trust, suggested that I go for a gestational diabetes (GD) test, mainly due to the fact that the baby has a larger abdominal circumference measurement in relation to the other measures they did at the growth scan. The babe was measuring on the 95th for the tummy, whereas the rest of the measures were on the 50th, or so. As a result, my consultant suggested I tested for GD, and I agreed. The test is an oral glucose tolerance test and it is done at the hospital. My consultant gave me a sheet, you know the kind of sheets they give you from the NHS and the advice was very clear that I needed to fast from 10pm the night before the test and not to have a cuppa or any breakfast the morning of the test. NO CUP OF TEA! NOT A SINGLE DROP OF EARL GREY TEA – which is my favourite pregnancy crush at the moment – sob. I coped. 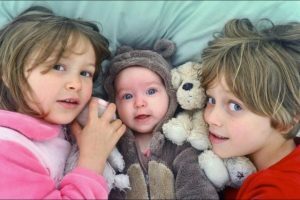 Of course I coped, I have two lively children and I am pregnant with my third – one morning without a cuppa was a walk in the park in comparison. After my crazy tea-less morning of herding the girls out of the door so that a friend could take them to school, I headed for the daycare unit at my local NHS hospital. I arrived at 9:01am – for me that feels late and I hate being late! Actually, does that say anything about the baby and his due date? – no of course not. I have always hated being late and both girls popped out 10-days and 7-days over their due dates, so my hatred of tardiness obviously has no bearing on child birth. After 40-mins of waiting at the day care unit, I had a finger prick test and a tube of blood taken. I don’t know about you but I am really squeamish and cannot look when I am having bloods. It sends me spinning. Whilst I was chatting to the nurse about the glucose procedure, I saw someone else’s tube of blood and it sent me a bit giddy – in fact, even typing this right now has sent me off again. If I could put my head down between my knees like they suggest if you are about to chuck a whitey, then I would! But I can’t. I am too pregnant for any kind of bending forward. After the slightly wobbly blood moment, I was given a very sweet drink in a plastic cup. The colour was a cross between bile and urine, but I drank the lot in 3 gulps and headed back to the waiting room to hang around for a long two hours whilst the drink and my body got to work. Just before I left the nurse, she explained that the baby will now have a party due to the high sugar I had just consumed – and she was not wrong! Kick, stab, bladder punch, jab, kick kick kick for the next long two hours. I waited. I am a bit of a nosey parker (Geriatric Mum language if ever there was any!) so in addition to tapping out this blog post, I was having a good old look around. Out of the nine other people in the waiting room, two of which were men, seven of them were on their phone. One lady was playing a LOUD video, another was scrolling scrolling scrolling at a furious pace and stopping at cat videos on facebook. One lady was talking loudly to her mother in law (I worked it out) and slagging off her other half for being stubborn. It was like an episode of Eastenders in there and I have to say, I was enjoying it! Oh and another lady kept putting her phone into her bag, hearing it ping, grabbing it out, putting it back in the bag, hearing it ping, grabbing it out – on repeat. Crumbs I am nosey. I had to wait two hours until the follow up blood test. It really is a long two hours. I wasn’t allowed to leave the hospital or go shopping – it said so on the leaflet. In fact, that really made me chuckle – is that what people do? Go shopping in between a hospital procedure? If you are going in for a GD test, you might want to consider the following 8 points. They are things that I didn’t think about and a couple of them are tips that the ladies in my fab facebook group We are Geriatric Mums suggested for me. Pop a handheld fan into your handbag – hosps are usually boiling! Take headphones – you might (will) need to block out other people’s noise! Two days after the test, I called the daycare unit to get my results. I was told that my results were Normal – which was a huge relief. That doesn’t mean I can go and live off sugar like there is no tomorrow, but it does mean that my body can handle sugar whilst pregnant, just as it does when I am not pregnant. Good news. It still doesn’t answer the questions of why my babies tummy is on the large side – I guess we will find out more at future scans and when he POPS out! Today, I hit 32-weeks and am well into my third trimester. I have to say that with each week that passes part of me breathes an obvious sigh of relief. This relief signifies the obvious progress in my pregnancy, but also for being on the home straight and for being closer to meeting our boy. That said, the other part of me is a bit sad to realise that the relatively straightforward bouncy second trimester, is well and truly over. For me, the second trimester is the beginning of the obvious bump, the you are packing on the pounds comments, the stronger nails, the thicker hair (I have proper haaaair !) the 20-week scan and the beginning of making excuses not to do something – “Daaaan, can you lift the guinea pig cage outside my back really hurts”… “Daaaaan can you bath the kids whilst I put my swollen ankles up”… “Daaaaaan I’ve been shopping and the boot is loaded up and I can’t be arsed to empty it” – you know the score. The second trimester is my fave and with a hunger that matched my kids’ hunger at 4pm after school, I ate with gusto. Huge breakfasts, 11am snacks, a loaded lunch, cake o clock at 4pm with the kids and a man-sized dinner at 6pm. Not forgetting the other late evening snacks of cheese, biscuits, cereal, toast, fruit, yoghurt and honey, and whatever was in the fridge. I really enjoy the second trimester hunger. Real proper tummy-rumbling hunger. The third trimester is a whole different kettle of fish, or should that be kettle of babies – actually no, that sounds wrong. 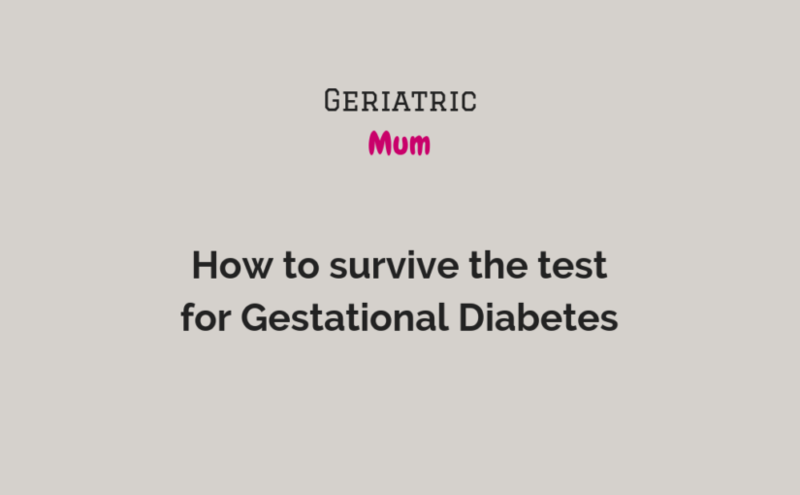 As a *cough* geriatric mum I was really keen to get to 28-weeks to find out if it would be harder and more knackering than before. When I say before, I mean 6-years ago with our second child. I remember feeling exhausted at the latter stages of my pregnancy and sleeping / not sleeping on the sofa just so that I wasn’t huffing and puffing all night next to my peacefully sleeping husband. I have to say at just 4-weeks into my third trimester, my sleeping has gone from dead-weight-nothing-will-wake-me-up status to nodding off at 9pm and waking up hourly and shuffling around into position whilst trying not to disturb the cat. Why do I even care if the cat jumps off our bed at 2am? I’m not sure, but it is always in my head and goes a bit like; Lucy, whatever you do, don’t disturb the cat. Aside from slightly crappy sleep, I have made an effort to keep moving and I will until the due date in January. When I say moving, I mean lots of lovely long walks and doing my kegel exercises. Years ago, I clearly remember reading that a great way of doing kegel exercises is to pretend that the clenching of your pelvic floor muscles is like going up in a lift (elevator), do bear with me on this. You start with a mini clench as floor 1, then tighter for floor 2, then tighter as you go up in the lift. Go as far as you can and then totally relax. I liked this idea and do it when I remember, like RIGHT NOW! I got to floor 15 just now. Apparently, it helps to stop the wee leaking out and from wind passing unnecessarily after childbirth – which is obviously not nice and highly embarrassing – a friend said! Pregnancy is not the time to take your foot off the pedal in terms of fitness, in fact the opposite is true. You’re asking so much of your body that keeping it in good condition, staying strong and active is the best way of coping with the inevitable aches and pains and ensuring that you’re in the best possible place, physically and mentally, to take on the stresses and strains of carrying, birthing and looking after a baby. By the time you’ve reached your third trimester (T3) your body is under an increasing amount of pressure and the fatigue that you may have experienced in T1 is likely to be back. Additional weight gain, stress on your pelvic floor and increased blood volume, as well as the presence of relaxin (a hormone secreted by the placenta) mean that from this point any exercise you take should be really low impact and low intensity. It’s time to focus on managing the niggles that T3 can bring, as well as prepping your body for the birth and strengthening the areas that will set you out on a speedier post-natal recovery. Your glutes are an important part of your core and help stabilise your hips and lower back – the stronger they are the more support you have here … and lets face it, this is where you’re going to need the most strength and stability over the coming weeks and months as you go from ‘Baby On Board’ status to Mama and carrier of baby/buggy/sibilings/shopping. Now you’re in your third trimester your centre of gravity starts to shift even further forwards, which can cause your shoulders and upper back to round and in turn, your chest to collapse. With that in mind, it’s important to focus on opening out the chest and strengthening the upper back to counter these issues. These are best performed with a Resistance Band (RB) which you can pick up from Amazon for just a few pounds. These are worth the investment as they lend themselves to so many workouts you can perform at home. – Chest opener: Take the RB out to chest height, and take your grip on the band so your hands are shoulder width apart. Keeping your hands at chest height, start taking your hands away from each other stretching out across the shoulders and opening out across the chest. If standing to do the Tilts feels uncomfortable take it down on to your knees, neutralise/straighten your spine and just rock the pelvis backwards and forwards. Another good variation on the Pelvic Tilts are to come into a table top position (on hands & knees) and to work through what are almost like Cat Cows, but instead of arching the back as you push away and then dropping the belly & raising your sit bones, you just move with your pelvis, tilting it backwards and forwards. Wow! I know what I am doing for the next few weeks – thanks so much Clare. Most recently, I have been experiencing the good old acid reflux. It’s an acid-y kick-back that creeps up on me when I bend down to pick up a smelly sock off the floor. I am remedying it with Gaviscon at the moment, and am making an effort not to eat after 7pm – like they say in the books. I try, I really do, but that post dinner pang tends to get me every time. I am also sleeping on 2 plump pillows and a V pillow which is really helping with the acid burn in my throat. The other thing the third trimester brings forth in one’s mind is… drum roll… the birth. THE BIRTH! Now, as a geriatric mum of 2 kids I do feel I’m more in tune with this one. I have more support, I have the experience of two very different births and I definitely possess more patience. I also don’t google as much. 1: Invest in your birth. Prepare by educating yourself about birth and how you can have the best birth for you and your baby. Knowledge is power. It doesn’t solve any medical issues along the way but it can empower you to ask questions should you need to. Preparations for your mind and body now will help you to be less fearful or anxious or birth and your abilities beyond birth. Get into the habit of using breathing and mindfulness techniques to help you cope. 2: Make it Birth-Ball-Tastic! These reinforced rubber balls are so much more than you realise. Firstly, you can’t sit wrong on one. They help you balance, realign and if pumped up properly for your height, will gently tip your pelvis to allow that little bit of extra room for baby as it descends into your pelvis. Swaying, rolling, bouncing and general leaning are all encouraged! Many women grow so attached to their balls (!?!) that it’s the ultimate companion during birth too, both familiar and useful when it comes to being more active and positioned during labour and birth. No more sofa slouching ladies. Get on yer balls! 3: Take time for you: Self Care Time is essential now. Use therapies such as reflexology/massage and gentle movement like to Yoga, Aqua Natal and Walking. Take luxurious baths and listen to MP3’s designed to help you relax and feel confident in your body and it’s abilities. Hydrate and nourish yourself. Love the blossoming you and trust in your body. Use affirmations daily to reaffirm the positives and reframe the doubts. I believe that any birth can be a positive birth if you invest in the experience and it suits you. Be aware that your beliefs may change as you learn about birth and most importantly that your fear of change and transformation should become more balanced and realistic. Give yourself time to be real. The material things can wait. It’s about your pregnancy and birth, then you and baby (and partner/family), and lastly the material things. I now have 8-weeks left to bounce on my ball, take care of myself and to get my pelvic floor as strong as can be. In fact, is it possible to do all of that in just a few weeks? my answer is YES! As Sophie and Clare quite rightly pointed out, now is the time to get body and mind strong so that the next bit is, dare I say it, easier. How did people react when you told them you were pregnant with your over 40 baby? Well my parents were floored! They never thought they would be grandparents and so it was the best news ever for them, and others were hugely excited and happy for us. Only a couple of people suggested it would be harder work and that they are glad they now have teenagers, not babies! Were you offered any memorable words of wisdom when you spoke to others (friends, family, midwife, doc) about your pregnancy? Not really. 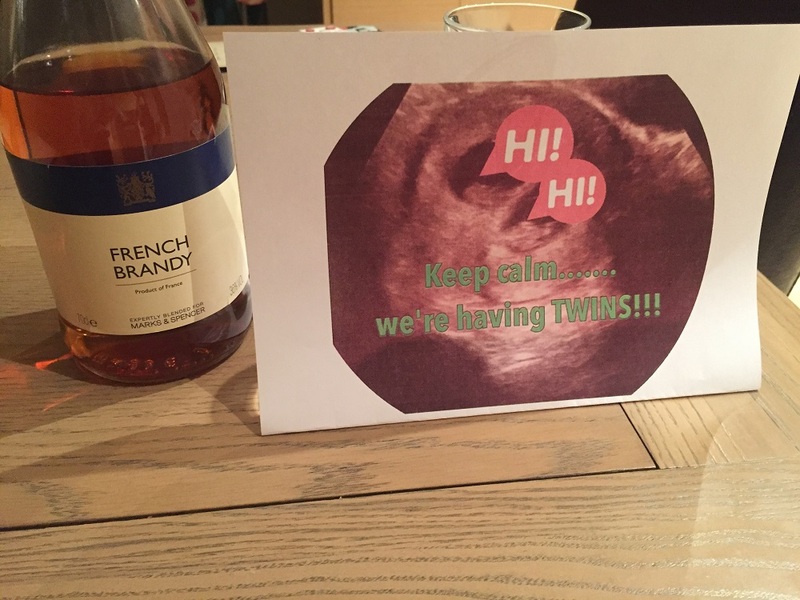 Because I was expecting twins my family and friends couldn’t relate, so understandably no advice was offered. My midwife, doctors and consultant all said that it would be tough at my age! Describe how it felt to be an older (geriatric) mum? For me, it felt the right age. I wasn’t ready in my twenties and was too ill with Crohn’s disease in my thirties. Being 40-something meant I no longer cared what others thought, too. I can remember saying, when I was 30-something, that I never wanted to be an older mum! Oops! 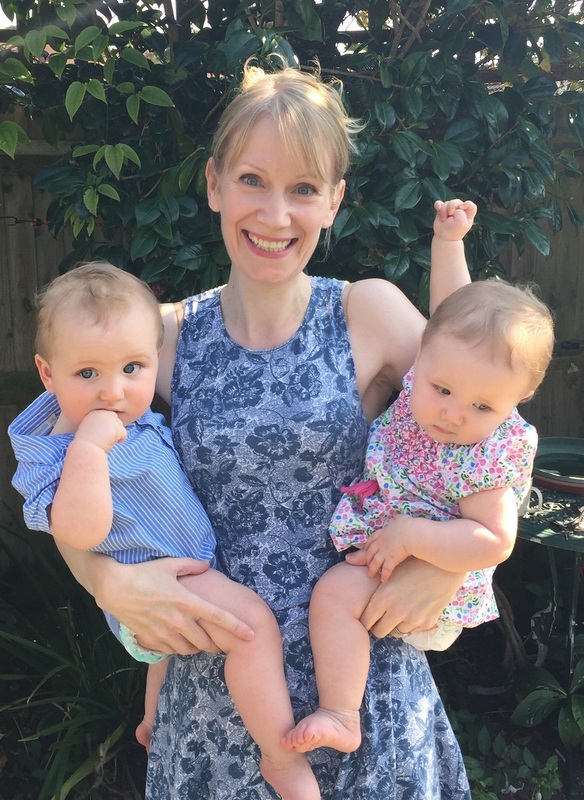 I’ll admit that I’m exhausted with having twins and chronic illness too, but I can’t actually put into words just how blessed and lucky I feel to finally be a mum… a mother! It is love at a completely new level and I highly recommend it. Is your child in school yet? and if so, how do the other mums and teachers react?No, they are only little. 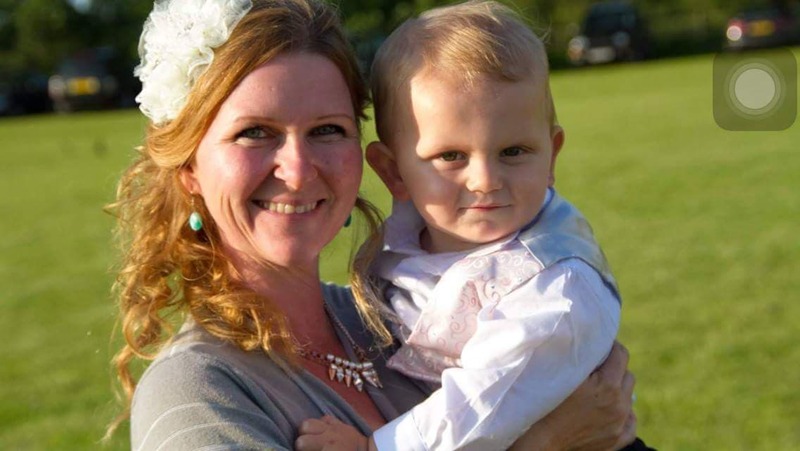 And below, Linzi has written some more about her experience of pregnancy, birth, babies and more. It is a lovely story and amazing what the human body can do even when faced with the struggles of illness. 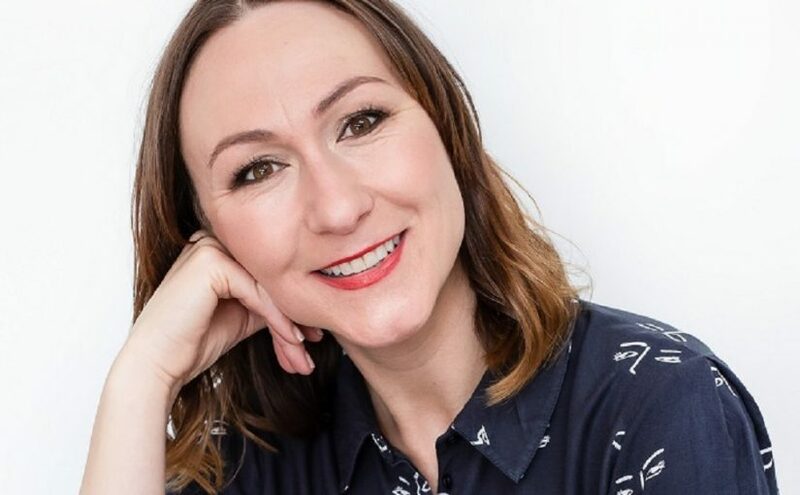 From the age of 27 I was in and out of hospital having been diagnosed with Crohn’s disease, associated arthritis and osteoporosis – an illness normally reserved for post-menopausal women. As a result, dating was off the cards whilst I focused on my health and holding down a career in HR. Fast forward to 2007, I was 32 and I decided to go speed-dating with a friend on the eve of St Valentines Day. 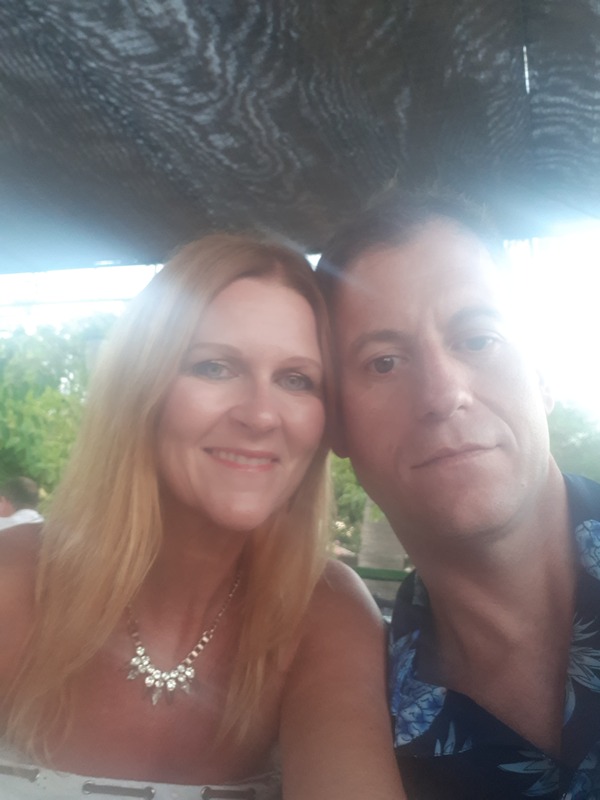 That night I met my now husband, who also happens to be an amazing hypnotist – am I still under his hypnotic spell I wonder?!! Ha ha! On our first official date he told me he had 2 boys from a previous relationship (not married). They were 6 and 4-years old and looked super cute in the photograph, we didn’t have Smart phones back then! A few years later, he proposed on my birthday in 2011, which was also the eve of the Royal Wedding (Kate & William), and we planned to marry in 2012. However, in November 2011 I decided to start looking at venues and found a beautiful country house with a last-minute date available – it was just 4 and a half weeks away and we we went for it. Several family members asked if I was pregnant, I wasn’t, and we got married on 20 December 2011. It was a fabulous Christmas wedding. My husband and I set up our own business together and had plans to relocate to LA, with a therapy clinic in Beverly Hills. We were rushed off our feet with business, travelling and making plans and the years just flew by without us realising how much older we were getting. In February 2016 I visited my Chiropractor and realising I was ‘late’ I popped to the chemist to get the magic stick. When I got home, I tested straight away and yep, I was pregnant – it took seconds to show the positive reading. We were both absolutely over the moon, yet a little bit apprehensive about being ‘older parents’ – my husband was almost 49 and I was 42. After speaking to midwife, I was referred to the hospital for a 9-week scan. Thinking it would be a general check, I said to my husband he didn’t have to come along as the 12-week scan wasn’t far away. To my total amazement, the sonographer turned the screen towards me and voiced “here’s one healthy heartbeat and look, here’s another… you’re expecting two babies”. Well, that floored me! I could not believe it and I burst into tears. Part of me wished that I hadn’t said to my husband he didn’t need to be there, I would love to have seen his face. Anyway, that evening, I left a bottle of brandy with the scan pictures in the kitchen for him to see when he got home. When looking at the scan image, he thought that there was just one baby and only when I told him to look carefully it clicked that there was two. The brandy was most definitely needed! I suffered with bad morning sickness, so had to stop seeing clients. We managed a last holiday away to Spain before our new arrivals, so that I could top up my Vitamin D levels and I even got a last round of golf in back home in the UK when I was about 6 months pregnant – that was fun! We joined an NCT group and had our first local group meet up in September 2016. 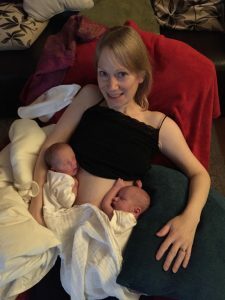 There was another mummy expecting twins who I’d met at the local TAMBA meet up in May of that year, so it was good to be able to share the experience of expecting twins. We were super lucky in that our group of 8 couples (expecting 2 sets of twins and 6 singletons) everyone was friendly and fun. The youngest parent (mum) was 27 and the eldest, well yes, that was us! The majority being 30 somethings. We set up a whatsapp group and we’ve messaged every single day since. We all regularly meet up, with and without the children, and I can’t imagine life without them – each and every one of them is amazing and I’m proud to be able to call them our friends for life. Fast forward to the birth itself. We opted for caesarean section based on medical advice. I had no idea what to expect. We were advised that the twins were to be born no later than 38 weeks and we chose 31 October (Halloween) to give birth to our little witch and wizard, which was 37 weeks and 3 days. The pregnancy itself went really well, apart from the morning sickness. I was lucky because growing 2 or more babies, being geriatric (!) and having a chronic illness on medication could have gone against me, but it didn’t. Even the C-section was a breeze with the relaxing sound of Il Divo playing in the theatre. Shortly after the birth, I started to feel pretty damn awful, despite being dosed up on morphine, but I couldn’t feel awful because two hungry little mouths and squinty little eyes were looking up at me wanting food and comfort. From that moment, my life changed, and it’s been the best most amazing time ever. I still can’t quite get my head around the fact that I am over 40 and I gave birth to 2 babies at the same time. Yes! I’m exhausted, but that just says to be me that I’m doing something right. The news broke this morning about Meghan Markle’s pregnancy at the ripe old age of 37. Harry is 34. When I say ripe I am obviously saying that in jest, because in my opinion, it is a wonderful age to have a baby. I had my first at 34, second at 37 and our third is due at the grand old age of 43! – now that’s ripe! If I cast my mind back to my twenties or my early thirties, I was still very immature if I am honest. I lived in London, was surviving hangovers, massive nights out, I loved shopping for just me, I had weekly arguments with my boyfriend and I was not in a place where parenting was even a thing – ur no thanks! I remember one of my ‘party friends’ telling me that she was expecting and I have to say I felt a sense of loss. Selfish as it sounds, I felt sad that I was losing nights out and cool parties with my partner in crime for her and for me – so in a sense, that feeling demonstrates how immature I was in my early thirties. I met my now husband at 30-years old and one of the first things we did together was dash off around the world for 10-months. You can’t do that when you have kids, not in the way we did anyway – booze, partying, crazy bus rides and living life to the max. We returned, got jobs again and whilst living in a vibrant part of East London, I found out I was pregnant. We lived in a top floor flat, had a party life-style, I loved my freedom and I was 33. When I told my Mum I felt like a little girl again. “Hi Mum, urrrrm, I’m pregnant” was kinda how it went, but my point here is that I was 34 and still felt very young and, in a way, not ready. How bloody brilliant that she is expecting her first child at, what seems to be, the right time in her life. You know, the thing about being an older mum, in my experience and from talking to 460 women in my facebook group (We are Geriatric Mums), is that often women who are more mature (I use that term loosely) are more in tune with what they believe in and with their bodies, too. Of course this isn’t always the case, but I speak to ladies all the time who say that they feel more settled, more capable and more understanding of pregnancy and birth, as an older mum. Meghan may well be seen as a geriatric mum at 37 because some medical professionals in the UK class an expectant mum from 35+ as advanced maternal age. I understand this is because of the known risk to the baby and the mother at an advanced age, so I don’t take offence to this categorisation at all. I just want people to be aware that older mums can do it too. As a 42 year old women, I know my body and I am good at flagging concern, asking questions and trying to do what is best. So Megs, if you get a chance, fling me a copy of your pregnancy notes, I would love to see if you have anything on there referring to your age. Are you a geriatric? Or, did you swerve any kind of age reference because you are a royal? (not my words, the words of another mum at the school gates). Posted on October 15, 2018 October 15, 2018 Categories Lucy WritesTags 42 and pregnant, advanced maternal age, geriatric mum, meghan Markle pregnant, meghan pregnancy, pregnant at 37Leave a comment on Is Meghan a geriatric too? As a 42-year old woman of advanced maternal age, I am under consultant care – which I have to say feels good. It feels good to be cared for and knowing that my unborn baby is cared for, too. 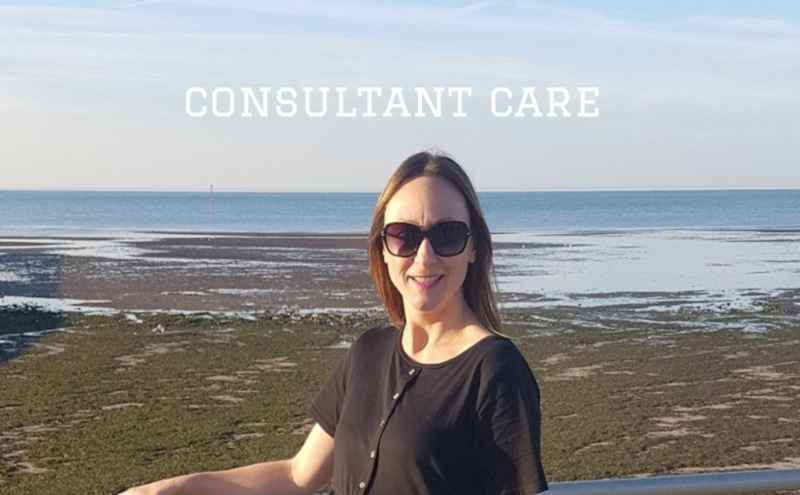 In my situation, consultant care means I had my first consultant appointment at the hospital at 22-weeks and I have been told I will have further appointments with her at 28, 32 and 36 weeks. I understand that this is standard practice for older mums-to-be which I am told (by my consultant) is 40+, although Mr Google does produce 35+ as a measure. 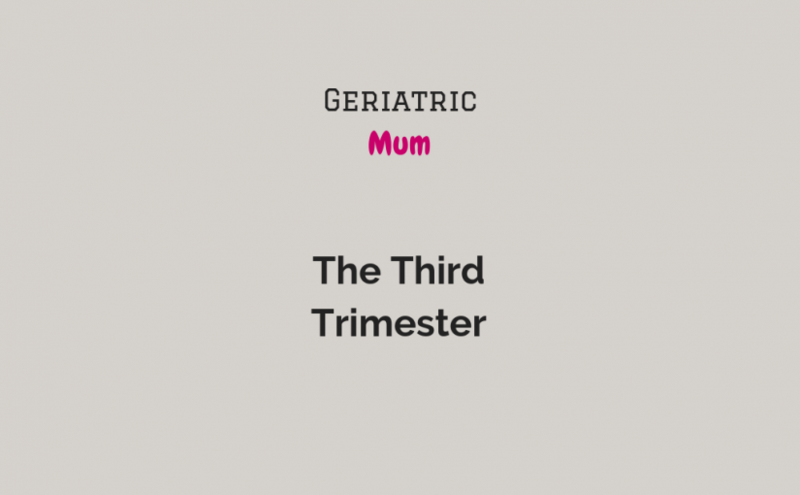 I am currently researching the definition of a geriatric mum further so when I find out the official age, I will post it for all to see – although I suspect this differs a bit depending on who you talk to and what county you live in. One of the joys of being pregnant is seeing the very first scan, the heartbeat, the fingers and toes and the backbone in all its glory and knowing that we have access to free ultrasound scans throughout our pregnancies in the United Kingdom, is pretty incredible. Over the duration of my first two pregnancies, I had the standard 12-week and 20-week scan and it was left at that. This time around I have already had five scans. Each time they were booked so that the sonographer could re-check some measurements and to look at polyhydramnios (excess amniotic fluid) which was pointed out as a concern at my 20-week one. This since has subsided a little, but it is still at high-normal. I took my mum to one of the scans and she was quite amazed. I am the youngest of three children and 42-years ago there were no routine baby scans like we have today. She didn’t have a single scan in any of her three pregnancies so to see a baby wriggling around at 16-weeks was pretty incredible for her. I went in on my own first for fear of bad news I think, plus the girls were with us so it felt best to go in to be checked first. It was the school summer holidays and my parents were visiting from Lincolnshire and I did really want my mum to be with me for support and so that she could experience the kind of scan we get in modern maternity care. 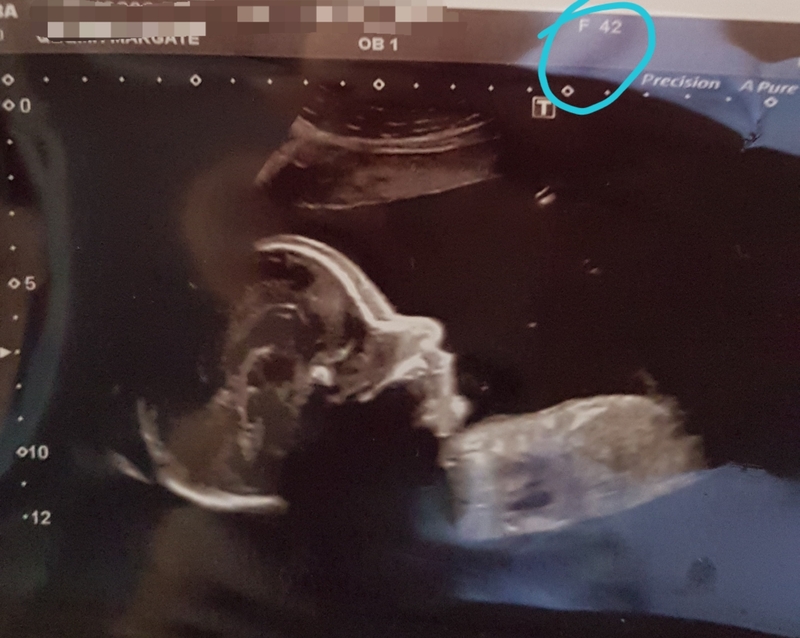 The kids and Mum were fascinated, my eldest kept saying “is that the head”… “what’s that bit” over and over and the sonographer didn’t seem to be overly keen that she was there asking 101 questions. I tried to do the SHHH eyes but it didn’t help a bit. She was too excited and it was lovely. I wonder if they will remember seeing their little brother in years to come? In a recent consultant letter that was sent to my GP and CC’d to me, it read “despite her age of 42”. Now this has to be taken in context and I don’t want to copy the letter out for the purposes of this post, but I have to say that I smiled when I saw it. I have no problem with my age or the fact that I am pregnant at 42 and I understand that the medical profession note it down because there are known increased risks of having a baby at a later stage in your life – 40+. The harder thing for me, as I said in my first ever post (http://geriatricmum.co.uk/42-and-pregnant/), was the reaction of the people around me, do read the post to see what some of them said. I do always come back to the fact that we are so lucky to see and know what is happening to our babies during our pregnancies and like I said before, as an older mother, I do feel extra well cared for with phone calls from my consultant, letters from the consultant, numerous scans and more to come and nice conversations at my hospital meetings. My advice, thus far as a GM, would be to question the questions, ask for the reason why, to understand what the medical professionals are telling or advising you and to take care of yourself throughout the process. We all know that pregnancy and birth can be exciting, worrying, troubling, fearful yet amazing – but we don’t always know how to ask for what we need or to understand fully what we are being told along the way. The medical profession looks after us women of advanced maternal age and we need to ensure that our friends and family do that, too. 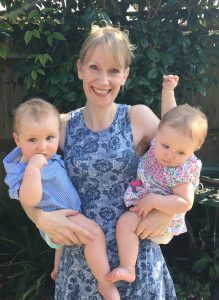 I love chatting to other ‘geriatric mums’ about their experiences and I am so glad to bring you Philippa – read her story – it’s ace and her attitude to being an older mum is nothing but brilliant. I enjoyed my teenage years, in fact, they were pretty wild. In 1989, I left home with my first real boyfriend, and we got jobs in Israel, travelled through Egypt and worked the holiday season in Greece. This was just the first year. The next year we enjoyed the un-spoilt beaches of Thailand, stayed a little bit too long, so took a gamble with our last $50 and discovered Tokyo. This was the life, and with regular trips there in the early 90’s, funded many more years of travel. Without trying to show off, I consider myself lucky. I’ve flown on Concorde, (showing my age now..), been paragliding in South America, (in fact, I broke my pelvis! ), jumped on and off a cruise ship travelling along the Panama Canal, hand raised a monkey, spent years renovating and running a backpackers lodge in Malawi and danced under the full moon in the ruins of Maharashtra Fort, to name but a few. My body clock was ticking though, and I hadn’t met anyone interesting and I didn’t even know where I wanted to be. On a brief trip back home, and in the middle of the Notting Hill Carnival madness, I met the man that had the same ideas as me. He was to settle me down and father the 3 children we had always wanted. The only thing was, I was about to start an 18-month stint on a cruise ship, as a photographer, but he was patient and waited until I finally came home. So we made our home in South East London and we had our first child pretty soon afterwards at 36, and the second at 38. I thought nothing of the fact that I was probably a bit older than most of the woman at the clinic. I was fit and healthy, didn’t look my age and thankfully there were no issues. I had a boy and a girl, what more did I want? Yeah, but didn’t we always say that we would have 3? Our youngest had just started school, and I was feeling a little bit lost. Shall we? Shan’t we? And so it happened, there I was, 42 and pregnant! It happened SO quickly, I just didn’t think it would happen straight away, but I was absolutely thrilled and with no reservations whatsoever! Unfortunately, after the first scan, my blood tests weren’t good. In fact I was high risk in every bad way. I was advised to have an amniocentesis* which wasn’t very pleasant, in fact it was absolutely awful! If I had actually looked at the tests, all 3 tests from each of my pregnancies were identical, it was just the fact that the odds go crazy once you hit 40 which led to the amnio test. I absolutely LOVE being pregnant and this 3rd one was probably the best. Am I bothered that I may be the oldest mother in the playground? Absolutely not! I’m proud! I ABSOLUTELY HATE the term GERIATRIC MUM though!! My aim is to be a fit Grandmother! I have a great diet. I juice daily, don’t eat processed food, haven’t got a sweet tooth and I haven’t really eaten meat since I was 17. I’m blessed with the ability to have children. They are my world. I couldn’t give a monkey’s what people think of my age! In fact I was 50 last week! Yay!! Sleep when the baby sleeps! Delegate! 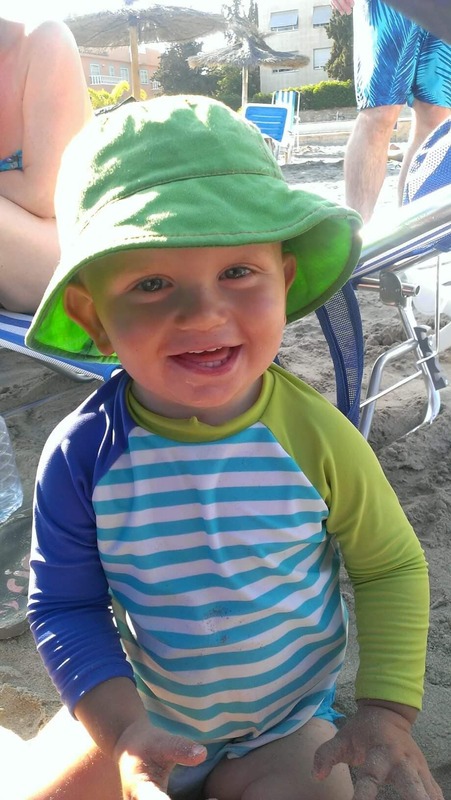 I had a lot of help the first month, and as I have 3 children, this was invaluable. Take gentle exercise, no high impact, save your knees! I walked, and still do, sometimes 2 hours a day. Don’t you think Philippa is an inspiration? her attitude to life and kids is so wonderful to read and I know she might help other GMs to think in a different way about their circumstances. *Amniocentesis is a test you may be offered during pregnancy to check if your baby has a genetic or chromosomal condition, such as Down’s, Edwards’ or Patau’s syndrome. It involves removing and testing a small sample of cells from the amniotic fluid – the fluid that surrounds the unborn baby in the womb (uterus). I’ve been trawling the web for some maternity gear. You see, I threw all of my pregnancy clothing away after my second child was born, and now that I am 21-weeks – it is time. It is time to buy some decent clothes that will see me through the next 19 weeks, without revealing my midriff or ever-growing generous chest area. I’ve been living in tunic dresses since my skinny jeans were cast aside at week-18, but am finding that the dresses are rising up my thigh the more my mid-area protrudes, otherwise known as put some clothes on that fit you Mrs Geriatric Mum! So with that in mind, I have been scrolling through the maternity ranges online. There are some gorgeous things to choose from and I am always drawn to denim and stripes and it’s been a feast for the eyes. I’m enjoying it because I like shopping for things I genuinely need and because I haven’t looked at maternity wear for 6-years! What I am not enjoying, is the way the clothes are displayed. Some sites use very pretty hair and make-upped women with, oh god I can’t say it, fake stick on bumps, or are they strap ons!? What are these websites trying to tell us? That pregnant women don’t make good models? That it is better to use non-pregnant women and just tie a fake bump to their middle? I don’t know about you, but I know some very gorgeous pregnant women – why can’t the clothes brands use them? Perhaps they already have used them, but it is just that my dip into the maternity range water is of a time where they are not using them anymore. Perhaps they can’t find enough willing ladies to participate as models. Perhaps pregnant women are too much of a liability -no, it can’t be. I know that some pregnant ladies get a bit forgetful (me!) but surely that can’t be a reason. I think I am not educated enough about this pregnancy model topic – all I know is that I have seen a lot of fake bumps in the last 48-hours. You see, I don’t look like a 22-year old, 5ft9 female with a perfectly round bump and extra slim legs. I look like a 42-year old, 5ft6 expectant mother whose bump is sticking out quite a bit now (with more to come) and my legs are looking thicker and my ankles already feel tingly and swollen by 7pm. A perfectly round false lightweight bump I do not have! I just don’t believe that bump is real, am I wrong? or it is a fake? I totally understand the need to see the item on a flesh and bones person, but I’d much rather see the dress on a real-life pregnant person at 5-months pregnant and then again at 8-months pregnant – to see how the garment grows! I think this is really important for us expectant mums to see. I mean, can anyone tell me this is a real bump or that it is inspiring to see? I felt utterly Mrs Blobby-esque seeing this today. I zoomed right in to see how fake it really was, to see the squishy pillow in all its obvious glory – I think it’s horrid. Personally, I think that is a silly answer. Pregnant women are more than capable of standing up for a few hours – it is one of the many things we can do really well. That, and give birth to a human being! I’ve been involved in many photo shoots over the years and I know a fair bit about how they work and how long they take. With the right photographer, a good stylist and fab lighting it needn’t take hours to get a number of good shots, and pregnant women have got huge amounts of stamina, I know this for a fact. So surely we are the ideal candidates to represent the mum-to-be shoppers out there who want to look and feel good about wearing maternity clothing. I get that the Asos audience isn’t exactly geared to 42 year old women (more for the millennial) but maternity ranges should be inspiring, rather than weird – whatever the age of the shopper. I will continue my search for great maternity clothes. I have to say, I do like going into actual shops to try on clothes but a lot of stores don’t stock their maternity ranges in the stores, which is what led me to looking online. I just want to see LESS prosthetic maternity bumps and MORE pregnant ladies who can stand up all by themselves. I had a chat with fellow geriatric mum, Jennie. 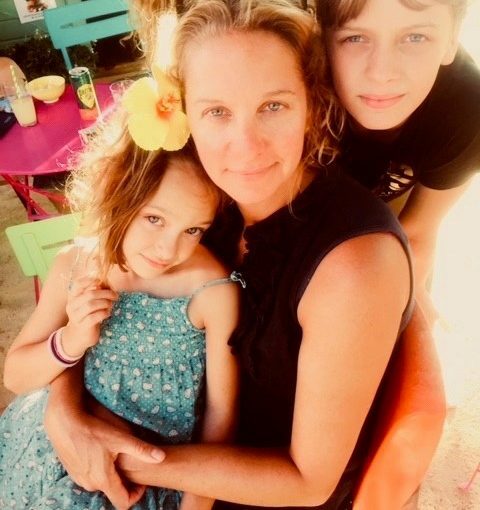 Below she describes her experiences of being an older mum which covers miscarriage, heartache, depression, joy and feeling fit, oh and her dislike of the term ‘geriatric mum’ – Welcome to Jennie! How did people react when you told them you were pregnant with your over 40 baby? I had been through a terrible two years and over all people were happy for me. I did get the odd few saying you’re mad, it’s just starting to get so easy for you! Were you offered any memorable words of wisdom when you spoke to others (friends, family, midwife, doc) about your pregnancy? Yes, my husband was on quite dangerous medicine at the time, so the docs were a little worried, but I was lucky that they looked after me well. Describe how if felt to be an older (geriatric) mum? I was actually quite worried about reactions like “is he your grandson?” or “are you his Nanna?” but in reality it was all fine. And even though there is a 9-year gap between the children, I bounced back much quicker with Ben than my first child Jess. Is your child in school yet? and if so, how do the other mums and teachers react? Yes, he has just finished in reception. I must admit I purposely chose a school with mixed-aged parents and a year in, we are both fine. I am probably fitter than some of the younger mums I know from the school gates. I have just completed the 26-mile moonwalk and Ben keeps me young. I have no regrets. Please tell us anything you think fellow geriatric mums would love to read about; advice, coping mechanisms, exercise beauty, body, pelvic floor or anything humorous or helpful. I would say that if you are an older mum, you are not alone. The only difference I can see between myself and other older mums is that they perhaps have a second partner or had re-married. 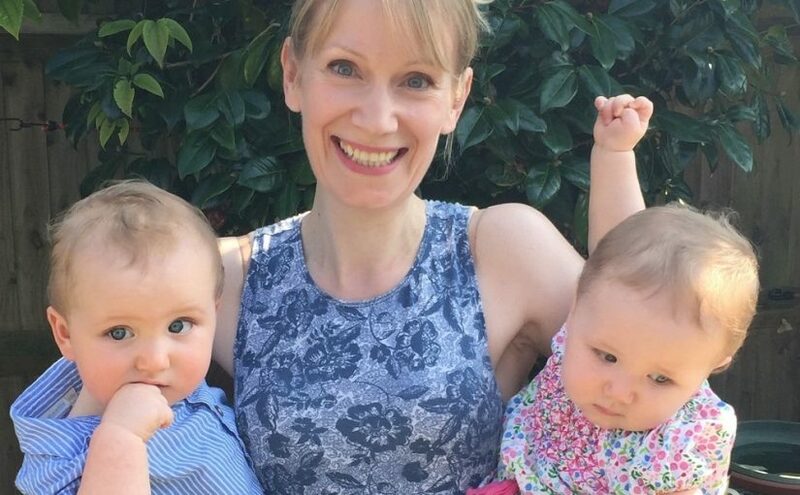 I have been so much more relaxed and organised with Ben as a result of being an older Mum and I proudly wear my slightly wobbly (alright very wobbly) tummy with pride – after all, it has comfortably housed 2 babies. 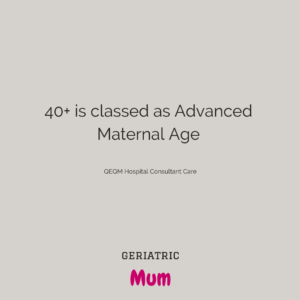 I must admit, I can’t bring myself to say that I’m a ‘geriatric mum’ – to me this word conjures up thoughts of an old granny! Thanks Jennie for your frank and open interview. It goes to show that women who are over 40 can do it, too. 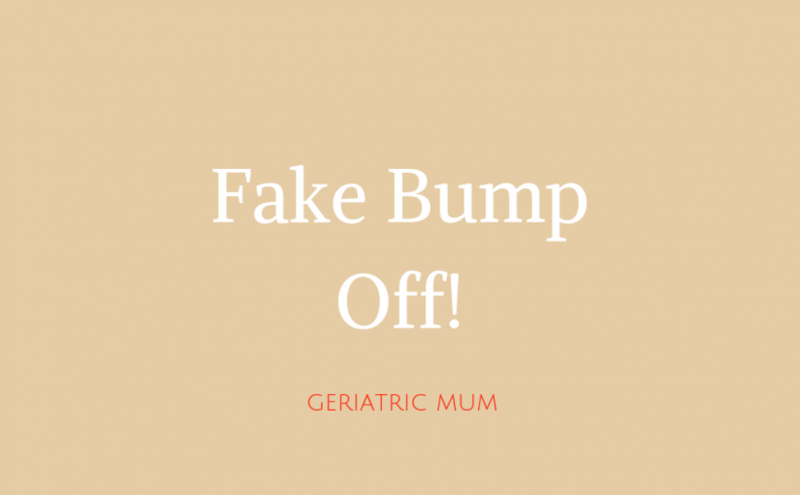 I love Jennie’s comment about the term ‘geriatric mum’ – I feel the same, which is why I want to dispel the term and beliefs around this still used term. “I remember thinking, I can’t believe that I’m going to be 40 years old. I’m going to celebrate in style at a James Bond style party, I want a girly fun trip to Spain, a big dinner party – I wanted it all. I came back from a trip to Spain to find out that I was pregnant. I was over the moon – for me this was the icing on the cake. Then I started to get pains and bleeding and was rushed to hospital. I will spare you the other details, but after being in hospital for 2 days, I walked out without my notes and just with a slightly podgy tummy to remind me of my loss. I was devastated! It was my daughter’s 8th Birthday and I struggled to keep up appearances -inside I was falling apart. Then came the news that my husband would have to start some really strong medication to help him cope with severe arthritis! He was advised this means no trying for a baby. For me this was a bit of a blow and my world darkened. My depression came out in strange ways, first there were tears and this very quickly got worse – I was doing crazy weird things. One particular day, I managed to go through red traffic lights, in my head they were green – looking back on it now I wasn’t thinking straight at all. Another time, I left my passport on the plane in Spain and had to go back through with armed guard to retrieve them. I ended up having to seek help and it took me a while to get back on my feet, back to Jennie. In all honesty the situation was worse for me than losing my Dad. After about a year, I managed to start socialising again, with friends, in groups and with my husband. At this point my husband was still on the medication and doctor wouldn’t give us any kind of time frame regarding how long he might have to take the meds. We were both still feeling like someone was missing on our life. We had gone down the route of freezing his sperm, we made this decision and went ahead with this before he went on the medication. I had to fight for it but it felt right. We started to face facts that having a baby wasn’t looking promising, so we decided to adopt. The first agency we went to said that we had been through too much, but I wasn’t taking no for an answer. I found another agency in our area, booked an appointment and it went brilliantly. We were going to adopt a boy and we got through the first round after which they offered us a date. The date they gave us didn’t fit my work load because I was fully booked with wedding work and as a result, we were put to the back of the list. After a few drunken weekends with Rich, I felt kinda different. Could it be that I was pregnant? I did a test and it was positive, but I didn’t tell him. We went away on holiday when I was 9 weeks pregnant, and shortly after we got there I started a bleed. My husband took me to hospital and I was in a terrible state. The hospital told us it wasn’t the baby and instructed me to rest -I had to relax with my feet up and no going to the pool. I actually kept the hospital plastic bracelet on until he was 24 weeks, it felt like my lucky charm. We returned from holiday and I had a further complication with my urine that needed to be treated, but after 16 weeks I returned to normal. Over the next weeks, I had to have continual tests because of the medication and I was being monitored pretty closely. 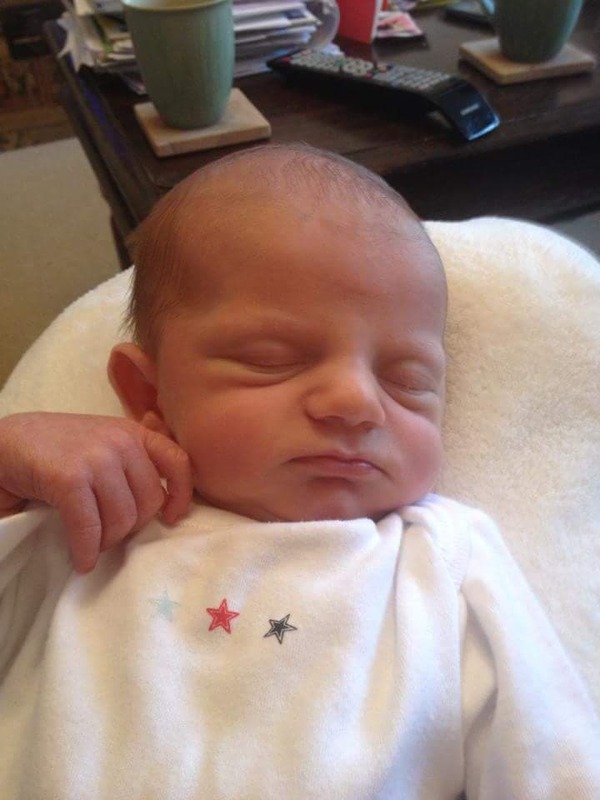 Our beautiful baby boy Ben was born at 38 weeks after a stretch and sweep. I had in him a water pool. It was the best feeling and our baby boy was a perfectly healthy 6lbs 4oz. I was back to working at my first wedding after 6 weeks. I’m fitter and healthier as a result of having a younger child. I feel totally blessed and all the things that people say, like you will be tired or too old to cope is rubbish. I truly feel that age is in the mind, and I am 25! 42 and Pregnant! Back in May 2018, I noticed that metal-y mouth taste on-and-off for a few days and thought to myself, nooo, I can’t be! (metal mouth was one of the first symptoms with my other pregnancies). Anyway, I checked my calendar, no record of my last period (so me!) so I waited for a Saturday morning when Dan and the kids were out and rummaged around in my wardrobe for a pregnancy test that I knew was lurking in there from about a year ago. I did the test, and with shaking hands I placed the stick upside-down on top of the loo and went to wash my hands – for ages and aaaages. I am sure you can guess the next bit, yes the ‘stick’ was positive! After multiple deep breaths and a massive ‘Oh f**k’ I dithered around for about an hour until Dan came home. I kept looking at the stick in that time, to see if the prominent line was fading away, but it wasn’t. It was as clear as day. When my husband got back, I told him the news in our bedroom. He fell back on to the bed and exclaimed a long line of expressive terms, a few ‘really really?’ comments and one ‘I knew it’ remark, and that was that. That evening, we were due to a friend’s new place for a BBQ. Whilst sitting having a natter in the garden, my friend was kindly filling my glass up with gin, and when her back was turned I was tipping it away! It didn’t feel right. 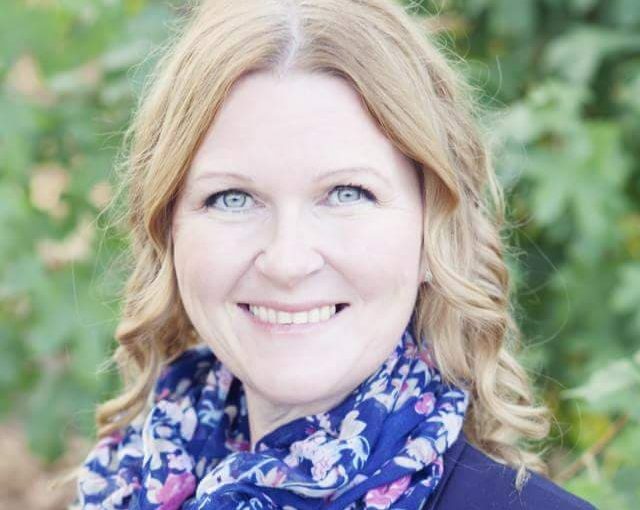 A mum of three herself, with kids from 13 down to 5, I felt she was just the person I could talk to and I needed to get it out! So, when the men popped to the shop to grab more beers, I had to say something. I just blurted it out. The point of sharing this part, is because talking to other mums is such a good thing to do, especially when they have similar circumstances. So apart from my husband Dan, Kath was the first person to know. For the next few weeks, my head was buzzing with thoughts and worries surrounding the news. My most prominent thoughts were; But I’m too old – I finished changing nappies 5 years ago – I run my own business – I love working too much – Both the kids are now at school – I am going to be 47 when the baby starts school – We have got rid of all the baby stuff – I love my sleep – Three kids?! – Mum of three – and so.many.more, ON REPEAT! The one thing I kept coming back to was my age. I knew I could cope with a baby. I knew I would have support. I knew our older children would try to help. I knew I could survive on little sleep. I knew I could cope with pregnancy. I knew I didn’t fear giving birth. I knew I was cool with 3 kids. But was I cool with my age? 42 and pregnant. And possibly 43 when the baby arrives. Forty Two!? After researching online and googling the google out of google, I didn’t feel like there was anything of any value when it came to finding out about ‘older mums’. 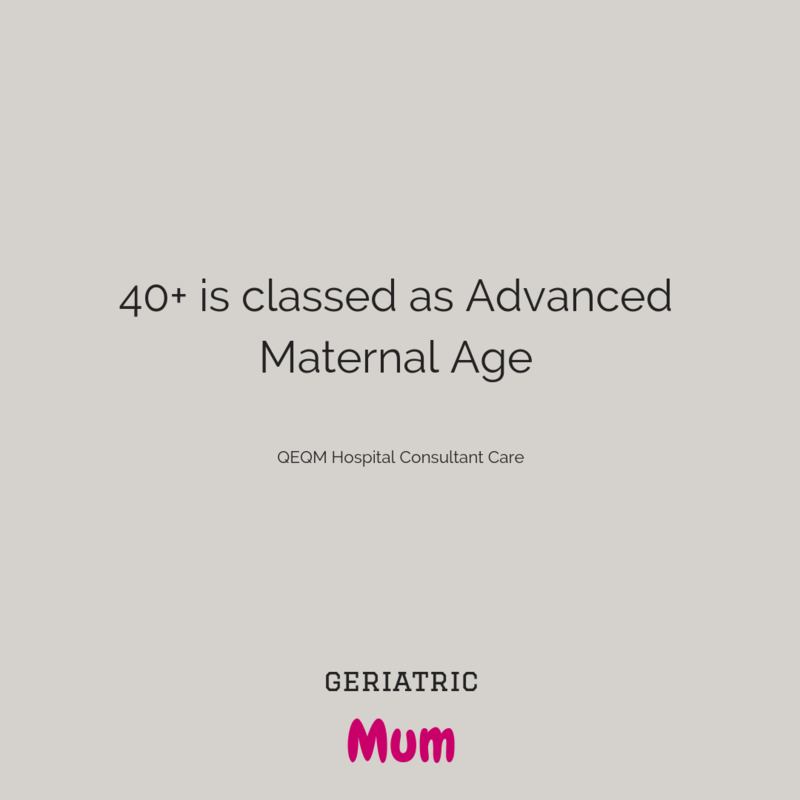 I read a lot about the risks, the consultant-led care, the term geriatric mum (which was first brought to my attention by my mum, who at 32 was called geriatric in 1976), but I didn’t see much that offered support and advice for us over-40 mums. Us mums who are 42 and pregnant. I did read that the proportion of over-40s mothers has trebled in 3 decades, which shows that some women are having babies past the average/accepted maternal age. 42 and pregnant is a curious thing, and I say that because of the reactions I have received from others since we shared our news. I know that people mean well, but the comments I have had really are judgemental, unfair and a little hurtful. Yet, I guess they are to be expected. I think they are pretty normal reactions when thinking about us 40+ mums, due to the stigma attached to being pregnant later in life. I am only 13-weeks pregnant and I have been on the receiving end of; are you mad? – You’ll be 47 when the baby starts school! – Have you thought about your age? – I thought you were happy you have got your life back – Was it planned? – You are crackers now Nancy and Ivy are in school! – Do you think the baby will be ok as you are an older mum? 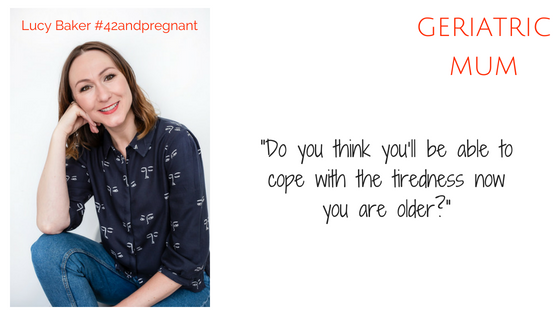 – Your maternal age potentially puts you at risk – Do you think you’ll be able to cope with the tiredness now you are older? And the one that makes me smile only because my 8-year daughter said it – “mum, I was thinking that you are too old to have a baby” – ace! I am one woman, and I have experienced a lot of these types of comments, already. I wonder how many other women have heard similar things? On the flip side, I have had some wonderful reactions to my pregnancy news, too. So many ‘congratulations’ and ‘what wonderful news’ comments, but somehow they get a bit drowned out by the ‘I thought you were happy that you had got your life back’ and ‘are you mad?’ style comments. As a confidence coach I know how to work on my mindset. That said, nothing really prepares you for the comments that are opinionated and a little bit thoughtless. My view now, is that I have honestly thought of all of those things and more than a thousand times over and I did struggle for over a month to come to terms with our new baby news. I had big wobbles and major ‘what the f*ck’ moments, yet I kept my head above water by working through my feelings and talking to those who care. I have never been so honest in all my life, and talking to a few friends and my husband kept me sane even when I was feeling like, at times, I was making a bit of a mistake. So this blog, geriatric mum, is to connect us older mums up and to change the common opinion of 40+ expectant mums. Whether it is your first baby or your fifth, it doesn’t matter. This blog will be covering health, beauty, exercise, real-life interviews, clothing, product testing and I aim to entertain you, too. Here’s to us geriatric mums supporting and helping each other to be honest fun mums, whatever our age. Do share this post so that others can read it. Welcome to the Geriatric Mum blog. A blog by Lucy Baker, mum of two girls, pregnant with baby number 3. This blog is going to be a fun place to hang out, often humorous, yet real. As an ‘older mum’ myself I have heard a lot and I understand some of the stigmas attached to us older mums. Let’s support each other as much as we can and enjoy our geriatric mum status with aplomb.